It's going to be a busy month for Najib Razak. You know the saying, 'It's not over until the fat lady sings'? Well, for our former Malaysian Prime Minister Najib Razak, we have no idea when the fat lady will be singing (if ever). According to a report by Bernama, the 65-year-old is set to face more charges related to the 1MDB scandal really soon. A source from the Malaysian Anti-Corruption Commission (MACC) told the news agency that they are preparing the charge sheet, but he declined to elaborate further. This came after Najib was quizzed for six hours by the MACC on Tuesday, his fifth time being summoned by the anti-graft agency for questioning. Boy, someone should hand him one of those loyalty cards where if he visits the MACC HQ ten times, he'll get a free visit the next time. That's not the end of it though: he and his wife, Rosmah Mansor, will reportedly be called up by the Commercial Crime Investigation Department at Bukit Aman again soon to facilitate investigations. 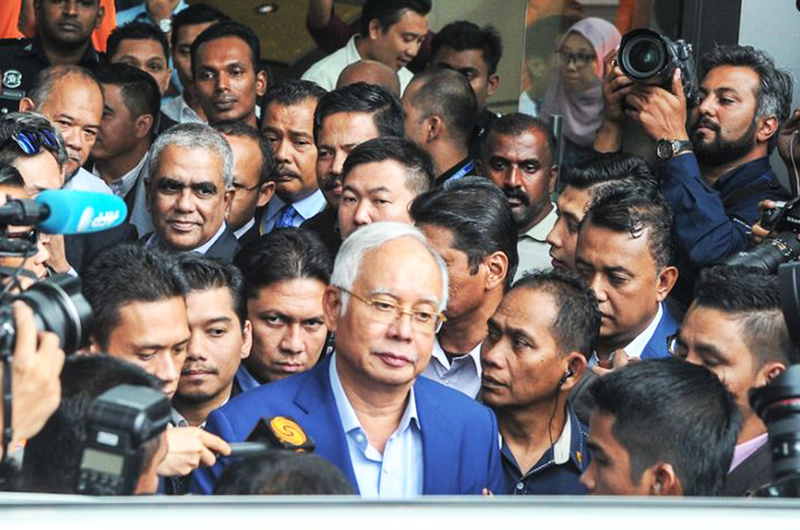 To date, Najib has been charged in court on 32 counts of money laundering and abuse of power, to which he pleaded not guilty. It's going to be a very busy month for the Razaks. In a related piece of Najib Razak news, a fund has been set up by a non-profit organisation to help ease the Razaks' burden of paying bail and legal costs, which is estimated to be around RM7mil. The fund, called the Tabung Solidariti Dato Seri Najib dan Keluarga 2.0, was announced by Najib and Rosmah's daughter, Nooryana Najwa, over the weekend. The fund's head, Mohd Razlan Mohd Rafii, appealed to Najib's supporters to "donate what they could" to help the former 'first family'. In another piece of news (this time unrelated), we will also be setting up a Help Feed Rojak Daily fund because we are also poor. For every ringgit you donate to the fund, you will get a virtual high-five from us.